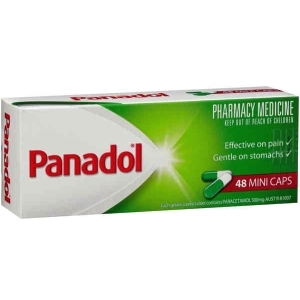 Panadol is for effective, temporary relief from fever and pain associated with: teething, immunisation, earache, headache and cold and Flu symptoms, while being gentle to little stomachs. Benefits: Concentrated formula for easy dosing. * A smaller amount is needed. Either drop directly onto the child's tongue, or mix with a little juice or water first. Use only as directed and consult your family doctor if pain or fever persists. 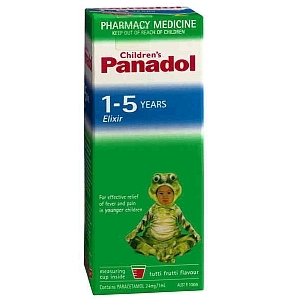 NOTE: Panadol is not recommended for infants under one month. Rinse dropper with hot water before and after use. 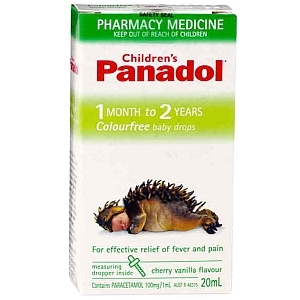 If you would like any further information regarding Children's Panadol products, please call our INFOLINE (Freecall) Australia on 1-800-028-533. Panadol Mini Caps are capsule-shaped tablets with a smooth gelatin coating for easier swallowing. 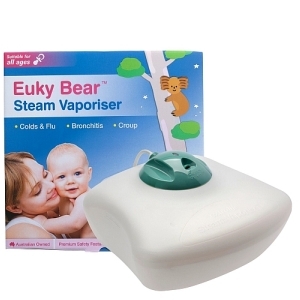 Euky Bear vaporiser is safer & easy to use.